Sony has lowered the barrier of entry for the PSP and some of its top games. Now that the NGP/PSP2 is on the way, Sony has to start moving some more units of the PSP to make room. What better way than with a sizable price cut? Sony has announced that on February 27 the new price of the PSP core pack will be reduced from $169.99 to $129.99. PSP bundles such as this one that features Hannah Montana will drop from $199.99 to $159.99. That's a $40 system price cut across the board. Game-wise, Sony is also adding a bunch of new titles to its $19.99 "Greatest Hits" and $9.99 "Favorites" lines. New "Greatest Hits" will include Assassin's Creed: Bloodlines, Dissidia: Final Fantasy, LittleBigPlanet, Metal Gear Solid: Peace Walker, Ratchet & Clank: Size Matters, Resistance: Retribution, and Toy Story 3: The Video Game. New "Favorites" will include Crisis Core: Final Fantasy VII, Daxter, Monster Hunter Freedom Unite, Killzone: Liberation, SOCOM U.S. Navy SEALs: Fire Team Bravo, and Tomb Raider Anniversary. The NGP's capabilities are set to totally blow the PSP out of the water, but there are still some fun experiences to be had on Sony's current handheld if you haven't picked it up yet. Thanks to these price cuts, now those experiences will cost a few dozen less simoleons. This actually seems pretty good. Gold star Sony. :P Now all you have to do is put Crisis Core on the PSN store! Why do you want a GO? That's a really large price cut. I bought my PSP-3000 used for $120 about 3 months ago. Thankfully, it was basically new. Still, I wish I'd waited. Oh goody! I might actually get my hands on a PSP now. My PSP just recently broke, so if the price cut's I'm heading to GAME before you can say "OMFGTEHPSPSUCKZORS!!!" PPS : Gold star Sony, now all you have to do is add Silent Hill and Dead Or Alive : beach Volleyball to the PSN Store and then I'll probally but 3. Good thing they brought it down. Who would be willing to pay $1,000 for a gaming system? That's a little high for any system, no matter how good. Cause as much bad press as the go has gotten, it's not a horrible system. I own one and know what, it's damn useful. Though if you wanted the price drop on the go, should've gone black friday, they were $150 almost everywhere, and considering they still come with 4 free games (LBP, Ratchet and Clank, SOCOM and something else) I think you're better off with a go than a full size. Still waiting for the NGP price cut myself. drop the price on a console that even sony dont like? they should be giving them away. I thought that Sony had a price for the NGP, I guess I read that wrong. They're not talking about the NGP. They're talking about getting rid of the old system to try to make room for the new one. I for one don't like the move, but you can go way back to Lik Sang to show that the Sony gaming department hates gamers using Sony products. It's not getting any better with the PS3 fiasco. Perfect timing. I've been wanting a PSP, now would be the perfect time to buy one. Oh, I see where I misread it. Yeah, I do not really like move either, I wonder what type of impact that lawsuit will have on Sony if they end up losing. No give us a release date for the NGP. FYI my local gamestop is already taking pre-orders for $50 on the NGP. Sweet. Now I can play the 3rd birthday. Â£80? Hmm, I might consider getting one. The NGP looks like crap to me, it sounds good on paper but not in real life. Damn it! I just recently bought a PSP! -_- Oh well, I guess I just wasn't lucky this time around. Hopefully, Nintendo will do the same with the DSi XL once the 3DS is out in all regions. Sweet, this means that the used prices will drop and it might actually be time for me to pick one up. I mean its probably got about 10-20 games im interested in iv just never wanted to spend that much on a handheld. I heard the new sony PSP they're releasing (or whatever you call it) no longer has a UMD slot and plays everything via download. ...Why do they keep trying? 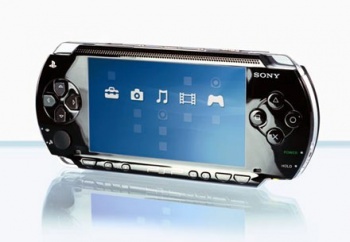 I'm having a hard time deciding on whether I should get the NGP or Xperia Play.